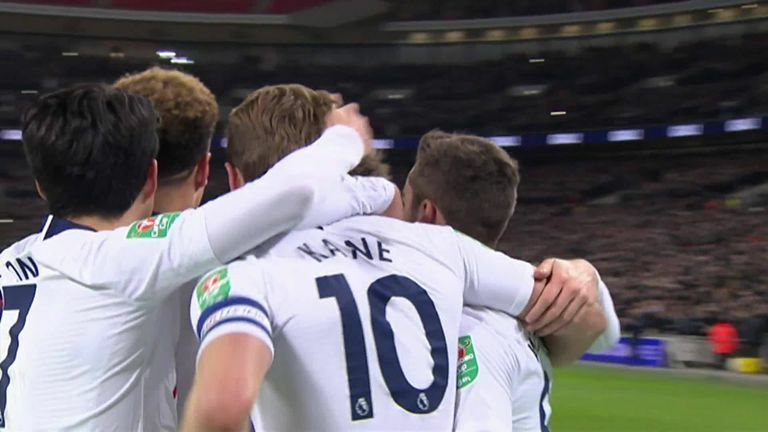 VAR intervened as Harry Kane's first-half penalty gave Tottenham a 1-0 win over Chelsea in the Carabao Cup semi-final first leg at Wembley. In an engrossing cup tie, Kane was upended by Kepa Arrizabalaga inside the box midway through the first half, with Michael Oliver awarding the penalty after VAR intervened following an initial call for offside. There were opposing views to the offside call, with VAR pictures seemingly showing Kane level, but Chelsea's own footage showing the upper half of his body leaning over the line. Kane tucked the penalty away (27), but Chelsea ended the first half on top as N'Golo Kante and Callum Hudson-Odoi hit the woodwork. 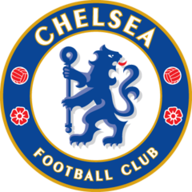 Chelsea dominated the ball in the second half but failed to find the net as Andreas Christensen missed a fine chance at the far post, meaning Spurs have the advantage going into the second leg at Stamford Bridge on January 24. 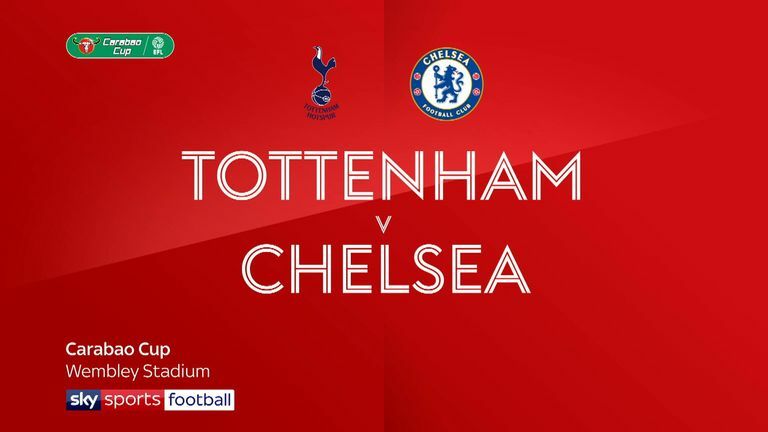 With both Mauricio Pochettino and Maurizio Sarri chasing their first major silverware as managers, Spurs and Chelsea fielded strong sides, though the Italian did give a fifth start of the season to Hudson-Odoi on the day Bayern Munich upped their offer to £35m for the 18-year-old. Spurs could have had a penalty in the first few minutes as Heung-Min Son went down after a tussle with Christensen, but even the VAR decided against reviewing the incident despite a strong appeal. After weeks of speculation surrounding his future, Callum Hudson-Odoi started for Chelsea in a front three alongside Eden Hazard and Willian. For Spurs, Paulo Gazzaniga started in goal, but it was an otherwise strong XI fielded after the changes made for the win at Tranmere. Kane's acrobatic effort then went straight down Arrizabalaga's throat, but the Spurs opener came against the run of play as Chelsea camped in the hosts' half. On a rare break, Kane nicked the ball past Arrizabalaga before being taken out, though the linesman initially signalled for offside. 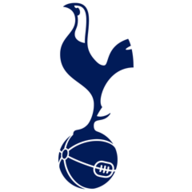 The VAR, led by Chris Kavanagh, showed Kane was just level, and after two minutes of confusion inside Wembley Oliver pointed to the spot to allow the Spurs striker to fiercely find the bottom left corner. Kante then hit the woodwork at the near post from a Marcos Alonso cross, and in first-half stoppage time Hudson-Odoi's deflected cross nearly outsmarted Paulo Gazzaniga, only to come off the inside of the post for Toby Alderweireld to clear. After the break, Kane stung the hands of Arrizabalaga from range after a nice move, before Kante did the same at the other end with a dipping 25-yard effort. Christensen then missed a clear chance at the far post as Ross Barkley headed on Eden Hazard's corner, the defender slicing wide having failed to get his feet right. Chelsea pushed late on and would not have been begrudged an equaliser, but Spurs held on for a third straight win over their London rivals for the first time since 1961-1963. 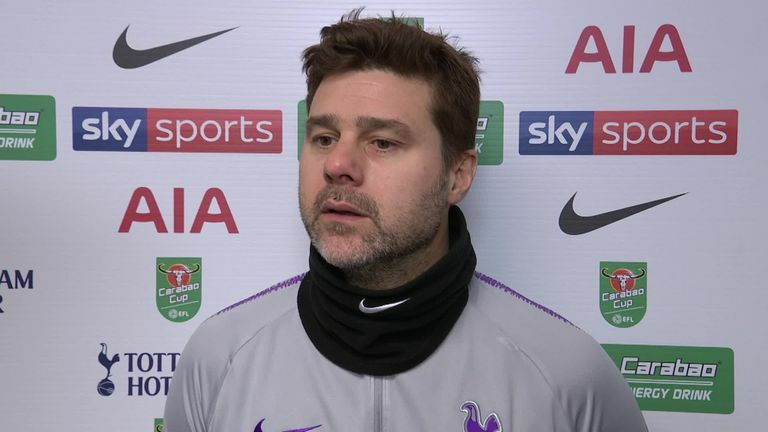 Mauricio Pochettino: "I don't like it [VAR], today we got the benefit but watching the World Cup and La Liga - no-one is happy. To get the benefit is nice but I'm not happy to win the game like this. "I prefer the technology but in a different way and to be clear in the way we use it. I am pro-technology as you can't stop the evolution. When are you going to use it? I don't think it's clear - before we use it all clubs need to agree with ideas. If not it's going to be difficult." 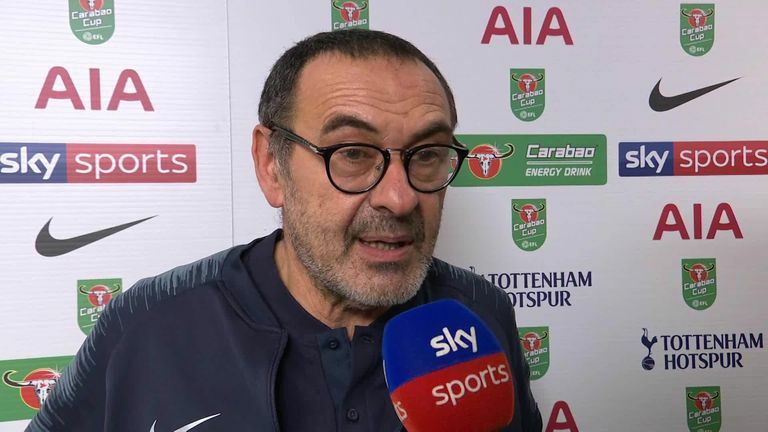 Maurizio Sarri: "I saw the video from our camera a few minutes ago, it was offside. Our camera was in line with Kane, and it was offside, but it's not important. VAR drama: Was Kane offside? "With the head, it's offside. But it's not important. It was important that the linesman stopped the run, he didn't follow the ball, so he had a big influence on our defenders, and at the moment I think the English referees aren't able to use the system." Spurs host Manchester United on Super Sunday at 4.30pm, live on Sky Sports Premier League, while Chelsea host Newcastle on Saturday at 5.30pm.